Hello one and all! We’re at the end of the Easter break which means I’m now two terms into my MA year at CASS. My thesis deadline approaches in mid-August and there is A LOT to do between now and then, but – for now – here’s a recap of what’s being going on since my last update in January. After spending most of the festive season surrounded by wrestling metaphors, concordances about Muslims, and sociolinguistics it was great to get the feedback from my first term MA modules. I came out with two distinctions and a merit which meant I officially qualified to transfer to the “MA by research” track. So in January I started work on my MA thesis which is, roughly speaking, an investigation into the methodological issues surrounding spoken corpus compilation. What it does mean is that recently I’ve been getting my family involved by handing them dictaphones and asking them to record each other’s conversations in all sorts of situations – can’t wait to hear the recordings back next week! I’ve also been carrying on work looking at the press reaction to the May 2013 murder of soldier Lee Rigby in Woolwich, London. Recently we’ve started adding in the reaction to the story on Twitter, which started with a quick and dirty analysis a couple of months ago. On February 26th this year Lee Rigby’s killers were sentenced for their crime. The very next morning, I was writing an analysis of the immediate Twitter reaction to the sentencing and, by the lunchtime that day, it was published as a blog on the CASS website (co-authored with Tony McEnery and Stephen Wattam). It was certainly a fun morning of seeing how much could be found in a very short period of time. Wise words from Cambridge University Press. …courtesy of Claire Dembry, a former Lancastrian who made the move to Cambridge following her PhD. Looking forward to getting cracking with it soon! Aside from the research I’ve been doing recently it certainly feels like this has been the term for talks! In February I plunged in at the deep end and gave my first 50 minute talk in the final LAEL Society meeting of the academic year. I split my talk between postgrad life in Lancaster as well as my MA work on the representation of Muslims in the initial Lee Rigby murder press reporting. I felt a little bit out of my depth talking for so long (and I suddenly realised how tiring it must be to give lectures potentially several times a day!) but it was great to give it a go and it seemed to go down well. The next week I teamed up with Paul Baker to present our research on gay rights parliament debates at the Research in Gender, Language and Sexuality (RiGLS) group to an engaged and interested crowd. Next came, in fairly quick succession, three more tests in the form of presenting the same talk (the Lee Rigby work) three times in three very different settings. 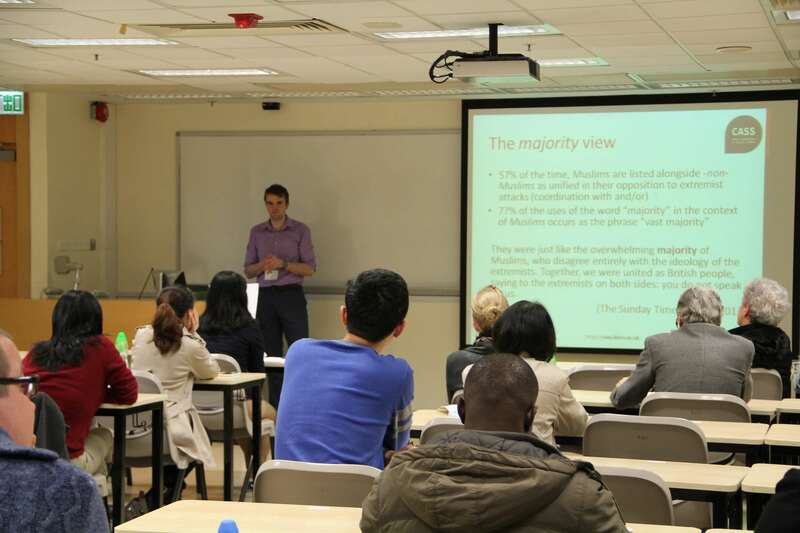 First came the Asia Pacific Corpus Linguistics Conference at the Polytechnic University in Hong Kong. The entire trip was, from beginning to end, a really, really positive experience and possibly the happiest time of the year so far (come to think of it I really should have given the Hong Kong trip a blog of its own…never mind!). Doing my thing at the APCLC in Hong Kong. I then took the same talk to the UCREL corpus research seminar which I shared with another MA student, Adam O’Hara. What was great about this was that among the small audience for the session was Geoff Leech, whose career has spanned over five decades – no pressure then! I’m very grateful to him for coming to see our talks. Finally I put the work on the Lee Rigby murder press reaction (as it was) to bed by presenting it for the final time at the Young Linguists’ Meeting in Poznan, Poland. Unlike the Hong Kong trip I did manage to write a blog about the Poland trip – check it out on the CASS website. So it’s been a busy few weeks of talks but the experience of putting myself in those situations has been really valuable. Talking about your work succinctly and clearly is a really useful skill (if nothing else but to avoid boring the hell out of your family at Christmas…) so I know that the more I do it the easier it will get – and I’m keen to get as good as I can at this sort of thing. More generally I think I can see things a lot more clearly than I could three months ago – the next term is much lighter in terms of weekly contact hours so I’ll have much more time to sit for full working days and make headway on my MA project. Aside from that I’m already looking ahead to life after the MA which I now know much more about than I did even a couple of weeks ago. At the moment at least, it’s looking exciting, challenging and stimulating. I’ll be back soon as there’s always more to say. 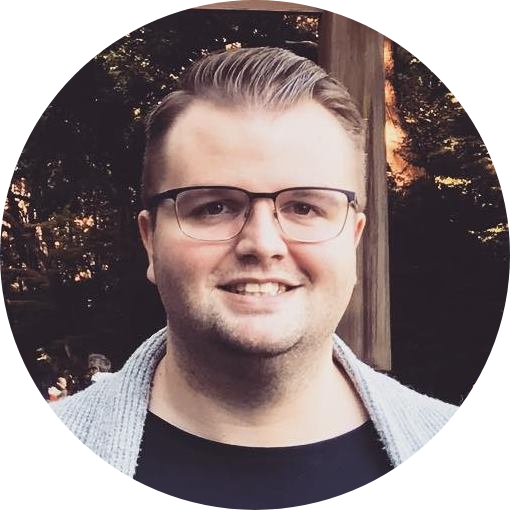 We’re quickly approaching the summer of conferences and I’m looking forward to making appearances at IVACS (in my hometown of Newcastle no less!) the 5th UK Cognitive Linguistics Conference and maybe even (fingers crossed) the LAEL postgrad conference in July. 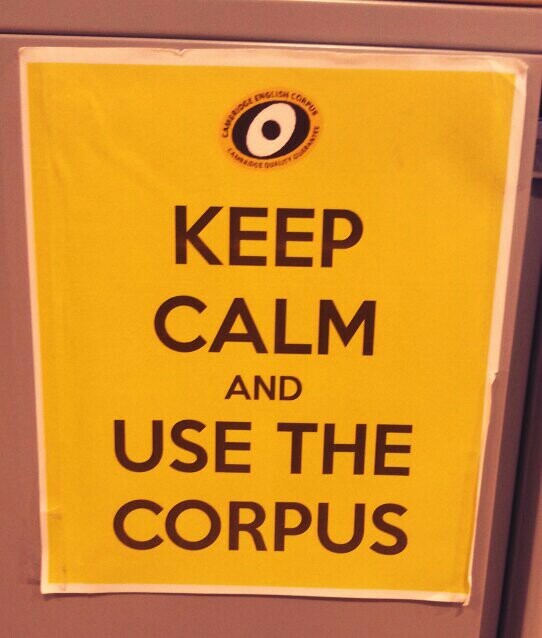 Until then…keep calm…and use the corpus! This entry was posted in CASS.